On August 9 th (Thursday), JST (Japan Science and Technology Agency) Public Affairs Division visited AORI and covered the ecological survey of salmon in Otsuchi Bay currently being advanced by Prof. Nagata. 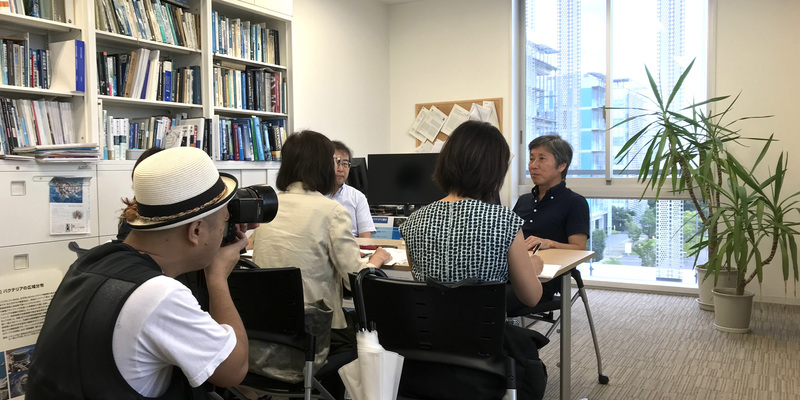 Prof. Nagata was interviewed with Prof.Tayasu (Research Institute for Human and Nature) who is a cooperative researcher. 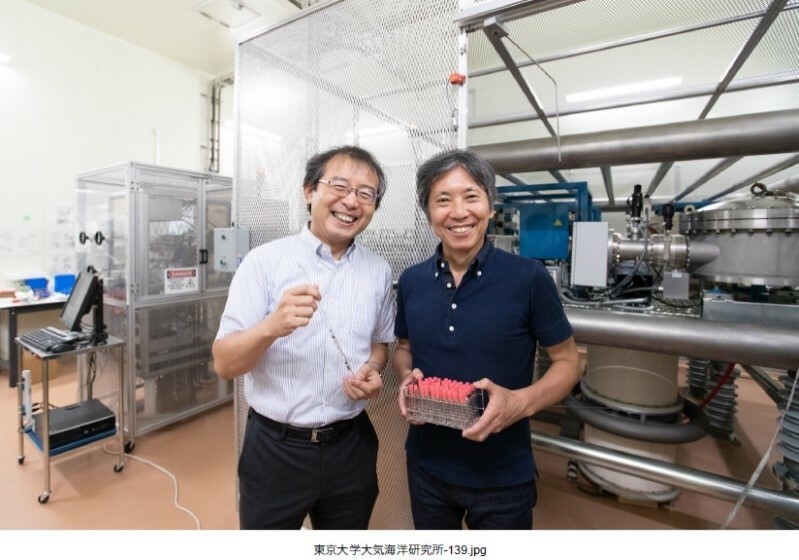 They also explained to the interview team about the accelerator mass spectrometer that measures carbon 14. 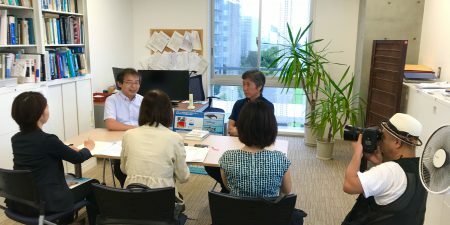 Detailed contents of this interview is posted in “JST News Oct. 2018”.